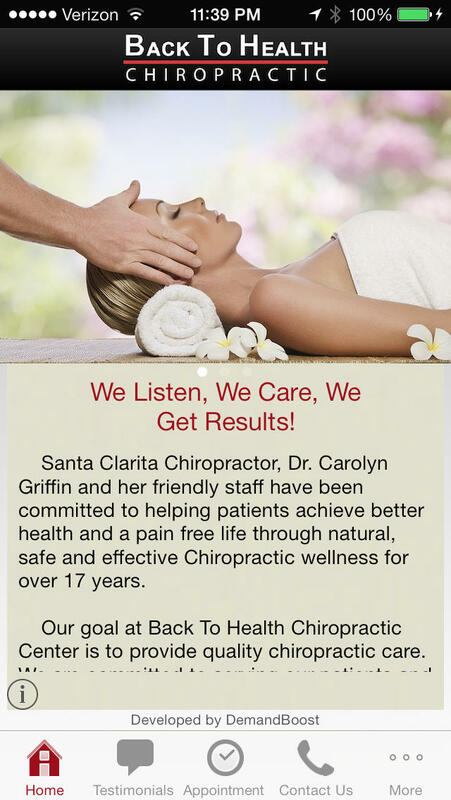 This app is provided to you by your kind and friendly chiropractor, Dr. Carolyn Griffin, D.C. . Back To Health Chiropractic Center is a professional chiropractic office with the world's latest chiropractic knowledge and technology located in Canyon Country, CA. 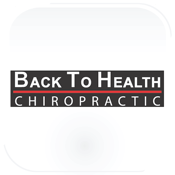 Dr. Griffin has provided this application to all of Back To Health Chiropractic Center patients for free, so that they can communicate with her and her staff in the most convenient way. This app is designed to give the patients useful information about this chiropractic office, its staff, services, make an appointment, promotions, testimonial, office contact information, direction, and other fun stuff.